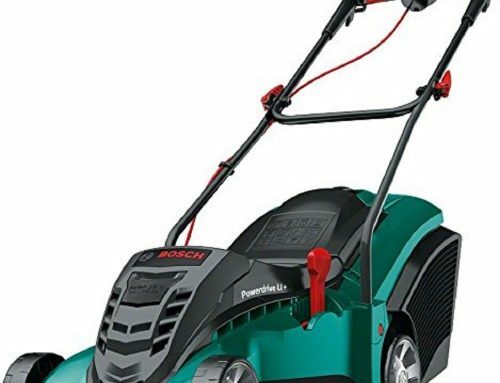 In order for them to reach more of the market and to help those out with smaller gardens, Bosch have released the Indego 400 Connect model (as well as some others). As you can see from the picture above, it looks very different from their previous Indego models. Bosch have gone for a much darker shade of green, added more black to its design and blacked out the wheels. I must admit I think it looks pretty cool! But how well does it operate and is it an improvement upon their previous 800 and 1000 models, which to be honest aren’t all that great. That’s exactly what I’ll be doing in this review so I hope you stick around! To introduce you to the 4oo Connect Model, watch the video below. 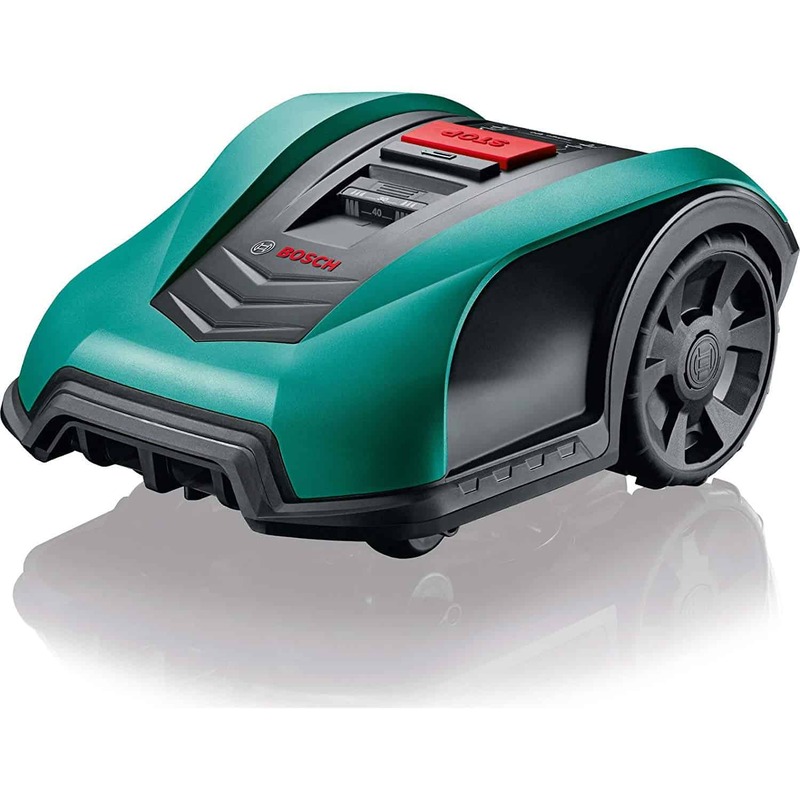 Just like the previous Indego models, the 400 Connect makes use of Bosch’s Logicut system. Now this isn’t a bad point, it’s actually a very impressive piece of technology. 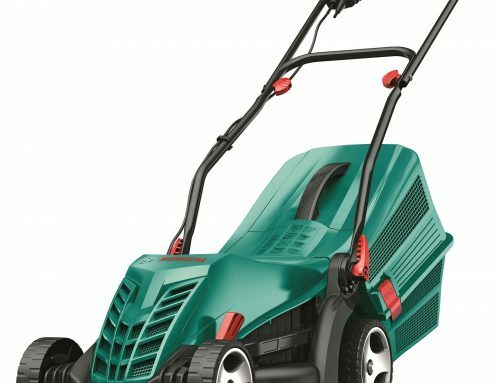 Because of this system, Indego models are some of the most efficient mowers in the market. In fact, Bosch have said that their mowers operate up to 30% quicker than random navigation, which is how other robotic mowers operate. After a few runs around your garden the Indego will map out the entire area and after factoring in things like slopes, obstacles, time of year, etc., it will have calculated the most efficient route to follow. Now your lawn is subject to change over the years so it’s only smart that the 400 anticipates this. On a regular basis the mower will assess the routes it takes throughout the week allowing it to continually adapt to the changing environment. So as the weeks go on it will work quicker and quicker. Also, as an extra precaution, this system makes sure the mower doesn’t take the exact same route as the previous day, even if it’s very efficient. This is to prevent it causing any stress to the lawn. So it’s smart, continually improving and super efficient. There’s no two ways about it, this is a fantastic system! In order for the 400 to operate as efficiently as possible, it has been fitted with a 18V Lithium-ion battery and electric motor. This is much lighter than the lead battery system seen in most regular mowers. It produces a working time of 30 minutes and needs 45 minutes to be fully recharged. This isn’t the best ratio, even the older Indego models were more efficient, but considering the size of the area it’s meant to cover, I doubt it’ll bother you too much. When it does need to be recharged, it doesn’t require your assistance. The 400 will handle this all on its own. 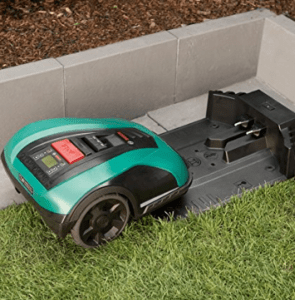 Thanks to the boundary wire and on-board sensors, the mower can locate and find it’s docking station all by itself. So there’s no work for you to do at all, just sit back in your chair and chill! As you can expect with an electrical power system, the 400 connect is completely Eco friendly, no emissions will be produced and it’s super quiet. So it won’t disturb anyone while it’s working away. In order to cope with complex gardens, the 400 is capable of handling slopes up to 27%. 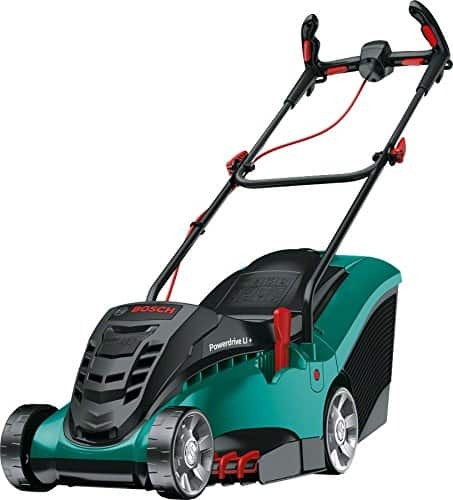 This a little shallower than the older Indego models, which may make you look down on the mower but in comparison to its competition, this is actually pretty goo. In actual fact it’s more capable than two of its biggest rivals, the Robomow RX20 and the Husqvarna 105 Automower. Of course this is just what Bosch have said and seeing as its a relatively new model, this is yet to be proved accurate. The older Indego models weren’t all that great at handling slopes so unless Bosch have improved their technology, it’s possible that this one isn’t so great either. However, this is a theory so don’t look too down on the 400, I just think it’s worth keeping in mind. 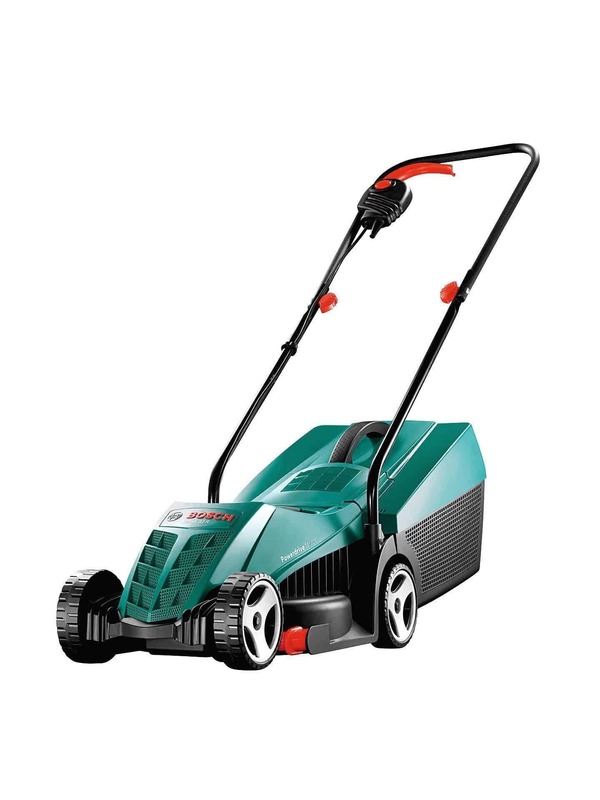 Like all robotic lawn mowers, the 400 has a system in place which allows you to alter the days it mows your grass. So no longer will you have to make time for mowing the lawn. 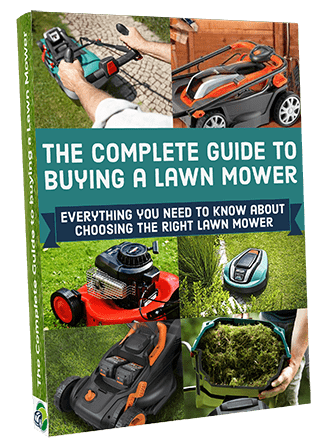 But not only that, the mower will recommend a schedule for your lawn based on the data it gathers during the first few mows. It’s a great feature and is one of the biggest advantages to having a robot mower over a regular one. This system is in your complete control and can be accessed either through the mowers main panel or the mobile app. So no matter where you are, whether it be at the office, on holiday or on the couch watching Game Of Thrones, your lawn will be mowed! To make for the best possible slice of the grass, the 400 mowers have been equipped with 3 free-moving steel blades. These are spun out thanks to the force generated by one rotating disk found in the centre of the mowers base. As they are not fixed in place, like most regular mowers, they are only strong enough to cut grass. Now this isn’t a bad thing, it’s actually very effective. As there’s likely to be small objects lying around your lawn, it’s possible for the 400 to run over them. This would normally spell disaster with a regular mower but thanks to this system, the worst that will be caused is a few scratches. This protects the blades from any extra damage as well as the object, making it actually more efficient than large, singular blades. 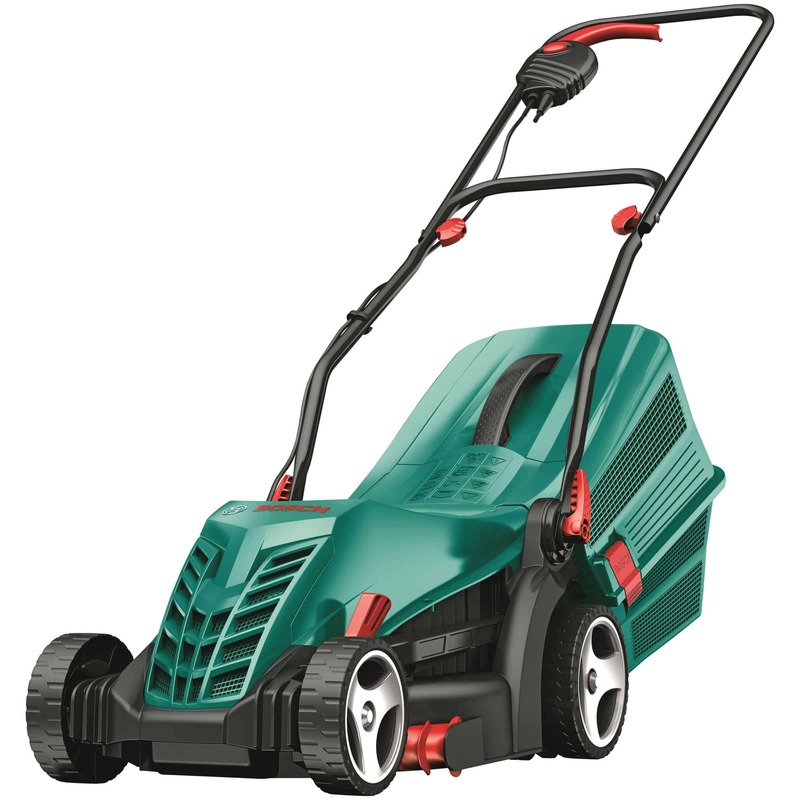 Like any old mower, you can adjust the height at which the 400 cuts your grass (between 30-50 mm). As grass growth rates change throughout the year, you’re going to need to make changes to how to your mower operates, making this feature essential. I actually quite like what Bosch have done here, they appear to have made this much easier to do with this model. Before you had to turn a large dial at the top of the mower but now there’s just one button to press (shown in the video). Even this can be controlled using the app, I think this is a great touch for anyone who wants to make adjustments manually. To help promote a healthier and better looking grass, the 400 mulches your lawn. As it can work on your lawn pretty much every day, all it needs to take off are tiny clippings. These tiny clippings are so small that they can fall in between the grass blades to the bottom of the soil without you seeing them. Here they decompose naturally to act as fertiliser for the lawn, passing on nutrients to the grass roots and soil. Just like any other organic fertiliser, this promotes thicker, healthier and green grass growth. Making for a better looking lawn overall! 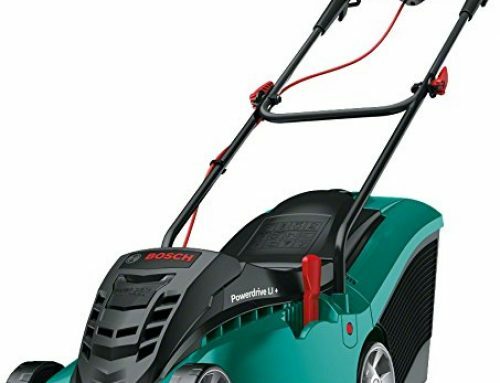 As I’ve mentioned frequently throughout this review, you can connect your mobile phone or tablet to this mower. Allowing you to pause, start and cancel any mowing operation, as well as make alterations to its mowing schedule. This is great for those that are always on the move or those that just want to spend as little time in the lawn as possible. With it enabled, you really can mow the lawn anywhere in the world (provided you have signal of course). Bosch have fitted the Indego 400 with some vital safety features to let your enjoy your garden without a worry. It makes use of special sensors to ensure it doesn’t continually drive into any large obstacles. Instead, it will stop in place, recalculate its route and continues on in a different direction. It will also remember this for future mows so that the same thing doesn’t happen again. To prevent stealing, the 400 has a built-in security PIN and alarm system. So whenever someone is trying to use it unknowing of the PIN, the alarm will sound. You may have to put the PIN in on the odd occasion but if it keeps your family safe and the mower in the garden so I think it’s worth it. Any time the 400 is lifted or tilted the blade stops automatically and immediately. Reducing any possibility of injury caused to you, your friends or family. This model cannot reach areas outwith its boundary wire, so you will be required to do some trimming around the edges of your house, fence, trees, etc. This model cannot travel from one lawn area to another, so if you have a front and back garden then you’ll have to carry it between the two. 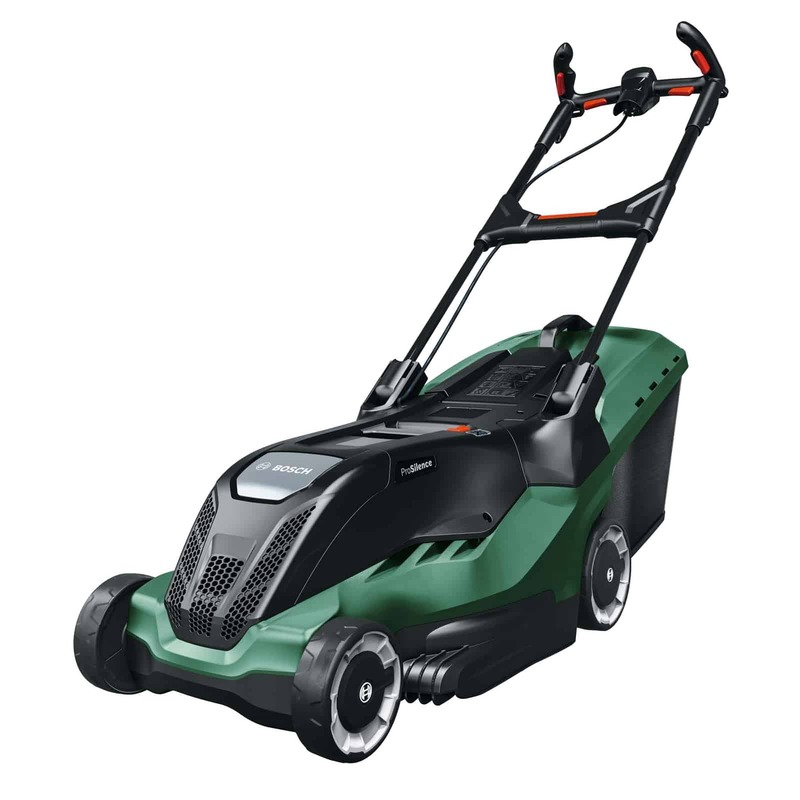 It has some annoying docking station requirements which could be difficult for small lawns to cope with. It needs a 2m runaway in front of the dock and at 1m of clearance behind. Even though I have never personally experimented with the Indego 400 myself, from everything I’ve seen it appears to be a very good model. It makes use of the most efficient navigation system in the market (supposedly), it has a very effective cutting system and it is in your complete control on the go. 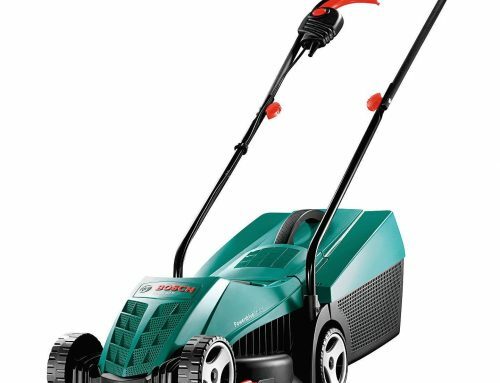 Apart from a few flaws, you could consider this mower to be the perfect model. It’s not but its pretty close. Now considering everything I’ve talked about in this post, do I recommend you purchase it? I do think it is a fantastic model and if Bosch have learned from their previous models problems, then I don’t doubt it’ll be one of the best in the market. It just isn’t the best. 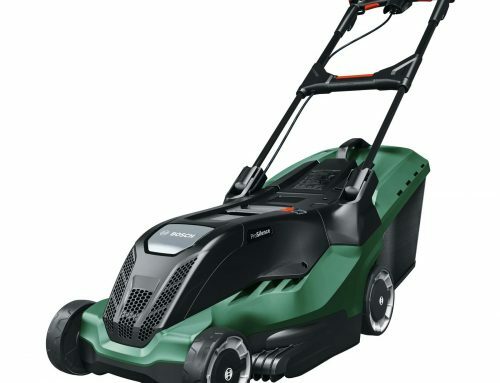 Considering price and number of features, I recommend you go for something like the Robomow RX20 or the Husqvarna 105. These model just give you that little bit more value for your money, which is needed considering how expensive these little machines are. 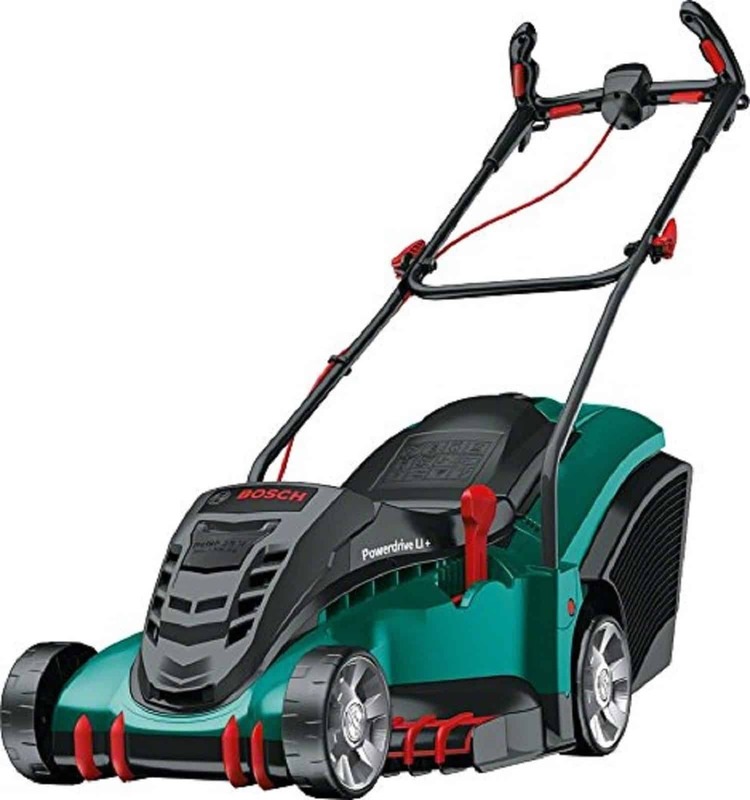 In my opinion, these two models are the best for this size of lawn and I highly recommend you check them out! Of course this is all subjective and if you think the Bosch Indego 400 Connect would fit perfectly in your lawn, then fair enough. Just make sure you run through this list of factors before making a purchase. Hopefully after reading this review you now understand if the Indego 400 model is for you. If you believe it is then check out prices on Amazon by clicking the link below. They have one of the most reliable online delivery services and really great prices so I would check them out before anyone else. If you have any questions then please leave them below! The Bosch Indego 400 Connect can be purchased from the following suppliers in the UK. I want one. Major time saver. I have been thinking of paving my lawn just so I don’t have to mow it. Or put in something like a xeriscape, but this would the solution all of that. I used to have a robot vacuum called a Roomba and I think they came out with a lawn mower so that is the only brand I ever heard of for mowers. I had no idea they had so many different brands with well-known names like Bosch and Husqvarna. These must be higher end robot mowers? Yeah they are Gord, I don’t know how much the Roomba is but I’d imagine the Bosch & Husqvarna mowers are more expensive. Now I don’t think Roomba actually brought their own robotic mower, I think there was a problem with their GPS system or something. So I guess you’ll have to go with one of the other mowers. The docking arrangement requires such great precision that it frequently fails. Then instead of backing off a little and having another try it sets off on a grand tour of the garden. The slope it can cope with is quoted as 27 degrees, but they don’t say that near the perimeter it cannot manage with anywhere near this angle (more like 8 to 10 degrees, especially on wet grass) – the drive wheels skid sideways when turning and cause the mower to slide over the perimeter wire. It would help if more weight were carried on the drive wheels and less on the castors. This is my second robot mower – the first is a Flymo (really a rebadged Husqvarna as far as I can tell) which I’m a lot happier with. I was tempted by the possibility that non-random mowing would be quicker, but the disadvantages outweigh this. Thanks so much for sharing your experience of the Indego 400. Yes, agreed it really is up to a 27% slope and can only be achieved in ideal lawn and weather conditions. I have not heard about docking issues with this model before, may be worth contacting Bosch to see what they say.